Three Channels Won slots on 34th e auction of dd free dish. 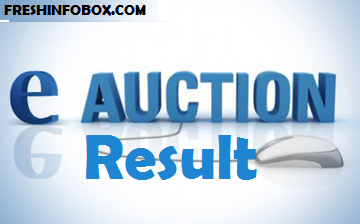 The 34th e-auction was held in the aftermath of the lone vacant slot in the 33rd e-auction going unsold after DD hiked the reserve price. That vacant slot was filled up by adding DD India. The lacklustre response notwithstanding, Prasar Bharati decided to stick to the Rs 8-crore reserve price as it felt that Freedish offered a bigger reach to broadcasters than any other TV distribution platform in the country. According to the FICCI–KPMG report, Freedish has an estimated subscriber base of 22 million, which makes it the biggest TV distribution platform in India. Freedish raked in revenue of Rs 275.4 crore in FY17 from the sale of 54 slots. In the previous fiscal year, the platform had earned Rs 180.34 crore.